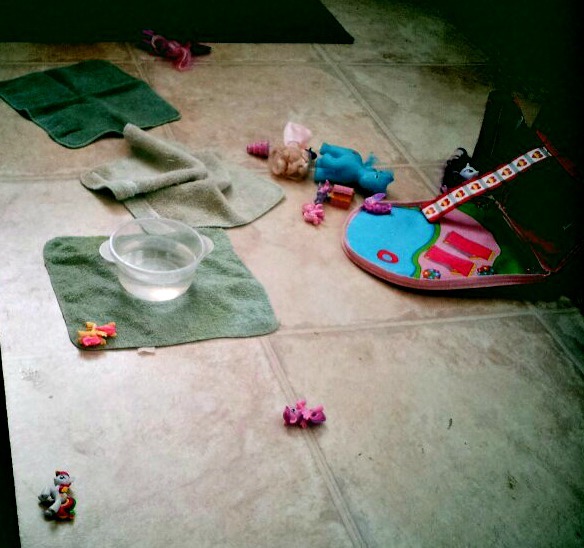 This morning I went into the kitchen and was greeted by a pony swimming party. And a little girl blissfully unaware that strawberries are to be shared, not hoarded. Note the pile of tops by her bowl. As I type this, she is lying in her bed, singing herself to sleep. Happily unaware that bedtime was two and a half hours ago. Lol! Alex does the same thing with strawberries! She truly thinks they are all for her. And hey at least she gets things for herself right? Haaa that is too cute!